It is really hard to find good quality nail files. 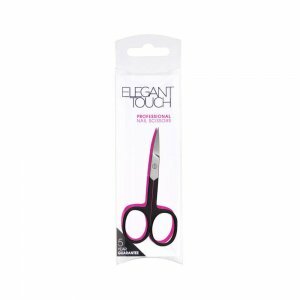 Luckily Elegant Touch sells perfect products. I was impressed with the exceptional quality. These good looking professional nail files are extremely durable and work perfectly. One side is perfect for softer finger nails and the other side is perfect for toe nails and even artificial nails. I always have one in my handbag. 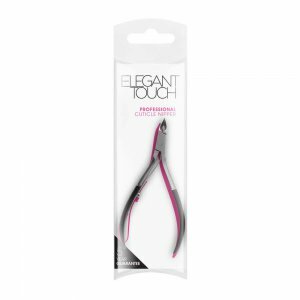 Manicure is really easy and quick with Elegant Touch Nail Files. For the best result make sure your nails are completely dry. These are so much better than the normal files I buy. 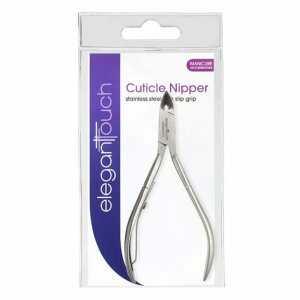 I have never found one that works well on false nails, but these work brilliantly without being rough on the nail or having to file for ages. They have 2 sides for different options, e.g. False and natural nails. Which makes them a great multi use file. I can see them lasting a long time too due to the thickness and quality of them. If there was only one nail tool I could have, it would be the Professional Buffer. I have very ridgy nails, but the white side of this buffer tackles them with ease, without being harsh, or scuffing the nails. I use the black more coarse side to file and shape bith my natural nails and my Elegant Touch Nails. What I really love is how long they last. I had my first one for two years before it needed replacing, which makes it extremely good value for money. Anyone who loves doing their nails, ... read more needs the Elegant Touch Professional Buffer...like seriously! I'm so happy this came into my life! I'm obsessed with having clean nails so I'm constantly trying to find something..anything to clean my nails with and then this beautiful item came into my life. It's so easy to use and cleaning my nails is over and done with in a matter of minutes and I know they're squeaky clean and not half clean (like before). The cuticle pusher on the other end is just an added fantastic bonus! So i'm not one to use any tools like this as I don't really know how to use them, however my best friend has a job where you work with nails quite often and she uses tools such as this on clients such as myself and she's shown me the uses of using this product and ever since then i've been amazed! Applying fake nails has been much easier and they look much neater, i'm totally sold on it!